Honeywell’s air purifier division is often tough to praise, but it does get two things right: consistent design across all price points, and the fan power. That’s the ethos that even drives the first air purifiers of this brand, for example this Honeywell 17000-S that you can easily dunk to. Want to know why? Please read our Honeywell 17000-S Review. If you are looking for the Honeywell flagship, you should look for Honeywell HPA 600B. 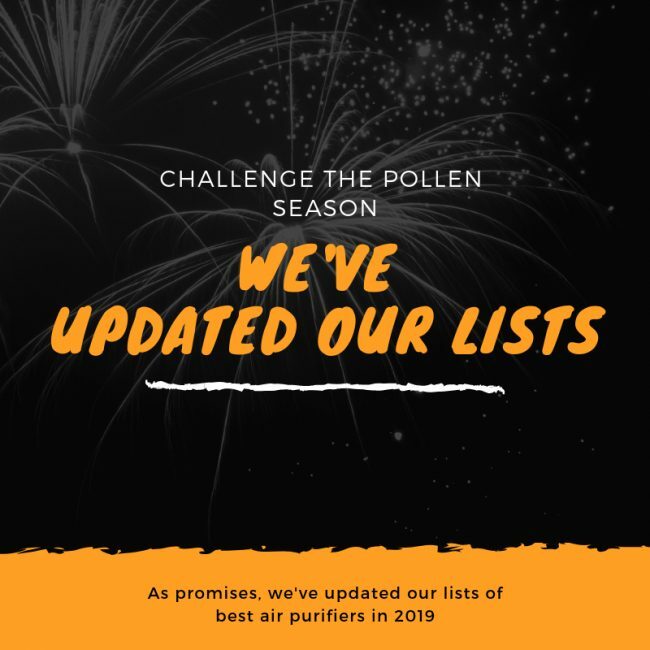 As one of the first air purifiers in the line of Honeywell – a Fortune 100 American company, the Honeywell 17000-S brings lots of expectations from the company to meet the demand of total air purifying. Though not being one of the Amazon’s Choice, this Honeywell 17000-S still rates a 4/5 among 1299 customer reviews in 2019. Cool, isn’t it? So time to know more in our Honeywell 17000-S Review. 9, Honeywell 50250 & 50255B Reviews. The Honeywell 17000-S has cut-backs in both size from its fan and body, meant a more affordable price tag than the Honeywell 50250 which is released not long ago. This air purifier looks the most particularly from its brothers in Honeywell, but still manage to bring a high efficiency air filter as well as a good fan power. You can buy the Honeywell 17000-S from $139 in Honeywell original store, or ready to grab our below deal for a better price (if you are lucky, come on, this air purifier is really old). If you can’t find your desired Honeywell 17000-S, for the price you can easily get the new Honeywell HFD280B, Honeywell HPA100 or Honeywell HPA030B. The HFD280B is a Smart air purifier with an Allergen Sensor, while the HPA030B and HPA100 feature a great True HEPA filter and are more ready to be in stock. Again, your choice. Honeywell 17000-S QuietCare True HEPA Air Purifier. The Honeywell QuietCare True HEPA Air Purifier with Germ Reduction. The Doctor’s Choice for air purifier. As the first air purifier to target low-range market of $100 air purifier, it’s no real surprise that most of metal materials have been swapped for a thick plastic body in the Honeywell 17000-S. But as one of the most used materials in Honeywell devices, it is not a disaster for the fans of this brand. This Honeywell 17000-S is a much more stylish air purifier than the Honeywell 50250. It’s a moody, slick-looking model with an air intake grill from the front and a small air outlet grill on top of this air purifier. This air flow concept is quite similar to the modern Rabbit Air BioGS 2.0, which has won multiple of design awards since 2014. That could be a compliment for our Honeywell 17000-S.
On top of this air purifier is an unique control panel, with electronic push buttons. However, the control panel is really simple and there is nothing to notice here. With a smaller size of 17 inches in height, the Honeywell 17000-S is only 13 lbs compared with the weight of 20 lbs from Honeywell 50250. You can move this air purifier quite easily with the handle on top of Honeywell 17000-S. 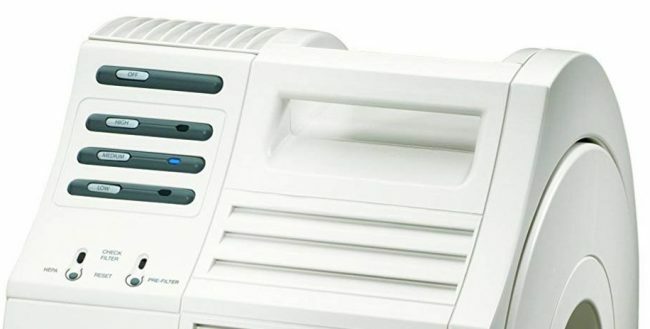 Though more affordable, the Honeywell 17000-S is still capable of cleaning air with the signature 2-stage air cleaning system of Honeywell brand. Pre-filter – The HRF-AP1 pre-filter has Activated Carbon filter in it. This will both help absorbs VOCs, gases, odors and traps larger particles such as dust, lint, fibers, pet hair & fur. You will need to replace this filter after 3 months of usage. True HEPA filter – The Honeywell 17000-S uses a True HEPA filter to capture up to 99.97% of as small as 0.3 microns contaminant particles like pet dander, mold, viruses, bacteria and pollen. Honeywell 17000-S utilize a cylindrical drum HEPA filter. This gives the filter a large surface area and allows for high airflow. You need 2 sets of the HRF-D1 air filters to install in this Honeywell 17000-S. However, with nearly half the size of Honeywell 50250‘s air filter, the efficiency is mostly the same. After several tests in Breathe Quality, the Honeywell 17000-S can capture exactly 99.9% of as small as 0.3 microns particles, just like its brother in the same price range – the Honeywell HPA100 and the GermGuardian AC5250PT from Guardian Technologies. In conclusion, the True HEPA filter of Honeywell 17000-S works great and decent, and will guarantee a fresh and clean air for you. My test conditions: a room of 100 sq ft, the duration is 1 hour. Moreover, thanks to the shape of its air filter, Honeywell 17000-S True HEPA filter can last for 3 to 5 years, which is up to 5 times longer than normal True HEPA air purifiers, such as Honeywell HPA100 or Honeywell HPA030B. But what I am happy the most is that True HEPA filter – the HRF-D1 is only $22.5. With a more durable air filter like that HRF-D1, the annual filter cost of your Honeywell 17000-S will be really low. You shouldn’t expect much at this price point. The Honeywell 17000-S is just a normal air purifier with low fan power, so it can only cover a room of 200 sq ft. The ACH of Honeywell 17000-S is still 5x. 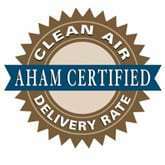 Honeywell is famous for creating high ACH rating air purifiers, with 5X as the standard of this brand. For that rating, Honeywell 17000-S will clean your room every 12 minutes. The CADR of Honeywell 17000-S is overall 130 cfm. This CADR rating is only half of the Honeywell 50250, but is still slightly better if compared with Honeywell HPA100 or Honeywell HPA030B. We never expect much from a True HEPA air purifier of Honeywell in this field. Most of them have high and classic fan power, which is truly noisy. The Honeywell 17000-S is also not an exception, even if it only has 3 fan speeds. The noise level starts at 47 db and can go as high as 58.5 db. If compared with the very silent air purifiers like Levoit LV-H132 or Blue Pure 411, this Honeywell 17000-S is moaning like an unstoppable beast. If you want an air purifier for quiet places, you should keep the Honeywell 17000-S from a distance, or look for an alternative option. Honeywell 17000-S, just like any other classic air purifiers with True HEPA filter from Honeywell (except the Honeywell HPA600B), will consume lots of energy. With such low fan power, the old Honeywell 17000-S will eat with 80W power on low setting. At highest fan speed, the power consumption can be as high as 123W. If you are looking for a better solution, both the Levoit LV-H132 and Blue Pure 411 are more profitable. For using a Honeywell 17000-S 8 hours per day, it would cost you up to $20 to $45 per year. 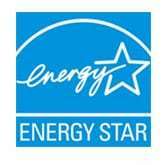 With no Energy Star rating, the Honeywell 17000-S will cost you nearly the price tag of the device each year. Again, this Honeywell 17000-S is the first air purifier of a 25-year-old brand. So don’t expect any additional features. If you are in need of at least a timer function, you should go for other models like Honeywell HPA100 or Honeywell HPA030B. Or if you demand more, you should pay for at least $350 HFD360B or even the Honeywell HPA600B. However, you still have two electronic filter replacement LED indicators to help you remind the date to change your air filter. The Honeywell 17000-S is now an entry-level air purifier from this brand, but thanks to the Honeywell HPA030B, you won’t need such a high power consumption and noisy air purifier like Honeywell 17000-S. It is sad, but remember we are in 2019, not 25 years ago. Should I buy Honeywell 17000-S? Well, no, the Honeywell 17000-S is a very old model, and you should live for the better and later devices, like the Honeywell HPA030B or Honeywell HPA100. If you have serious allergies or asthma to airborne pollutants: the Honeywell 17000-S is powerful with the high-quality True HEPA filter. An old device that needs to rest at last.